Hello, everyone! 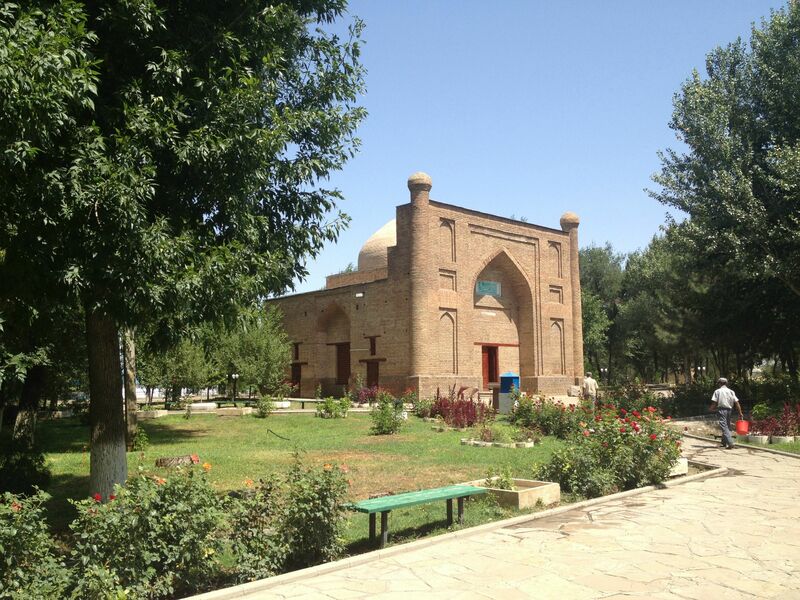 My name is Madi and in this article, I'm going to write about one of the older city in Kazakhstan, Taraz. , exactly about Taraz's historical constructions. Because when you read article on xpat.kz you can think that Kazakhstan is only Astana and Almaty. You should agree it's a little unfair. First of all, I want to start my article about the mausoleum of Karahan. It was built in the XI century over the grave of one of the members of the royal family Karakhanids who ruled from IX to XIII century, and it has a second name - the Mausoleum of Aulie-Ata(Saint forefather). As shown by the archaeological excavations, to finish this structure applied to 30 types of figured bricks made with exceptional skill. 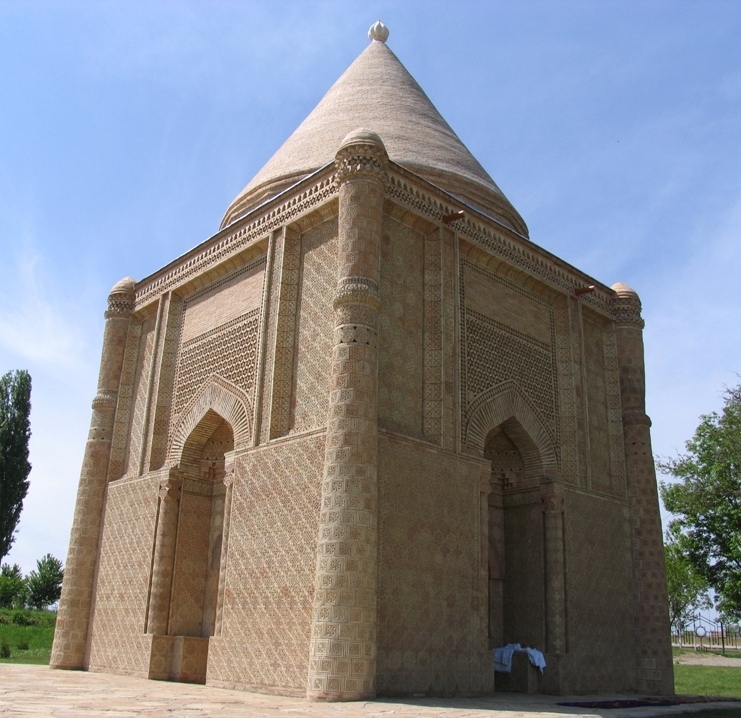 The mausoleum Karahan (Aulie-Ata) is a square structure construction. It consists of a central hall and three small corner space, the fourth corner of the mausoleum busy by staircase ,which leading to the roof. There is also the message of the President of Kazakhstan to the next generation ,which will be opened in 2100. Here is one myth about Karahan. By legend, He subdued the king of beasts - the lion, which performs all of his commands. It is said that Karahan was saddling lion, like a horse. However, Karahan could not contradice with his wife. And when Viziers of Karahan wondered: "When you have bent the whole world and even the lion, how your spouse can go against you?" . Karahan said:"I thank God a thousand times because my wife's a character. When the whole world bowed his head in front of me, I would consider myself superior to others, deceived by devil's cunning and lose one's way in my pride? Thanks to my wife, I always remember that I am only one of the slaves of Allah. And it allows me to always stay humble before God." One of the historical beautiful building in Taraz is the Mauseleum of Aisha Bibi, built in honor of the women in the XII century, located 18 km from Taraz. Today we have 28 versions of legend about Aisha. Here is one of them. Governer of Taraz young Karahan fell in love with beautiful girl Aisha, she loved Karahan too. But her father Zengi Baba refused to give his daughter to Karahan. And upset Karahan returned home. Aisha begun to miss her love and she decided to see he again. When she asked blessing from her father, he forbad, because Aisha's act contraries to the laws of Islam. Zengi Baba said:" You will go over six rivers and you can not cross seventh". But nothing can't stop Aisha and at the night, she with nurse Babaji Khatun,quietly left home. They crossed the six rivers. Before seventh they stopped, on the beach of river Asa Aisha and Babaji Khatun made a halt. Here Aisha is bitten by a poisonous snake. Spell father came true. The bite was deadly. Beautiful Aisha died immediately. Shocked and heartbroken Karahan ordered to build on the grave of his beloved beauty mausoleum, thereby he inscribe the name of Aisha in the eternity. i am gonna visit Taraz this winter! Very nice)) the best article about Taraz!!! @Zhansaya‌ the most your comment like this "I will visit this city at this summer". Maybe you will have very active summer?? I was there, very beatiful place!!! Is that fact that this town has 2000 years hitory proved? Don't we have other countries older than this town, for example cities in the south part of Kazakhstan. Maybe they have more age than this town?! Anyway even historians don't know exactly what age our cities have actually. I advise you to make some search in the Google to find out about the ages of other countries of Kazakhstan. I am sure, you will find a lot of interesting information.